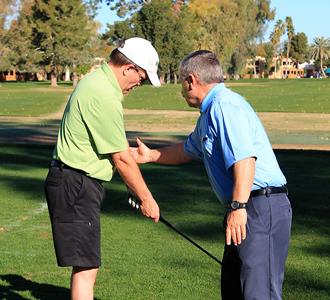 John Jacobs’ Golf Schools can help golfers of any level improve their game. 4:1 student/teacher ratio ensures that every student’s problems will be addressed. 4-day or 5-day schools at all AZ locations. 2-day short game schools available on Thu-Fri and Sat-Sun at most locations. Summer months only (May – Sep). see your preferred location for rates & dates. 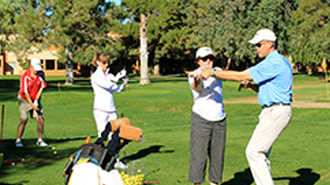 Designed for those golfers who don’t have the time or energy for a golf school, or those who only need help with a specific aspect of their game, the John Jacobs’ Golf Academies offer private lessons, group lessons, and playing lessons scheduled at your convenience (subject to instructor availability). Let our Jacobs’ Golf teaching professionals provide you with customized instruction tailored to your specific needs and learning style. Private lessons are available in 1/2-hour increments (up to 4 hours) and can be scheduled as an individual session or as a series of multiple sessions. On-course playing lessons are also available for experienced golfers with low handicaps. John Jacobs’ Golf Schools & Academies master certified teaching professionals are experienced & knowledgeable with working with juniors beginning at the age of 6 years old. It is very important as a parent/guardian that you feel comfortable that your child is receiving the best instruction possible from friendly, experienced and structured individuals. We thrive on increasing our junior’s overall confidence through skill challenges, drills and converting movement skills into sports educational skills. We teach proper technique, game development practices, etiquette & commitment, while offering your child a mentorship. 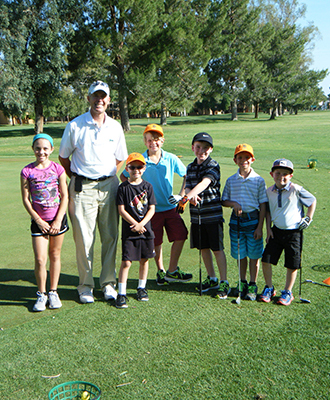 For junior golfers (ages 6-16) we offer after school clinics and summer camps at Orange Tree Golf Resort in Scottsdale, Arizona.